Hi! I'm sharing the card I created for the Creative Embellishments February Challenge. 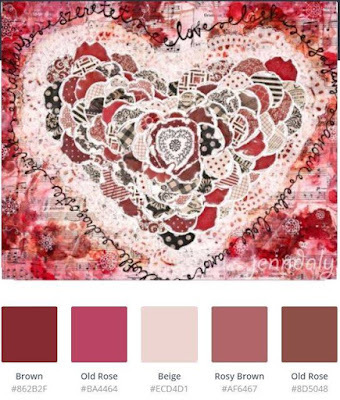 The challenge this month is a gorgeous color palette. The design twist is to add lace. I absolutely love the color palette in the challenge this month! 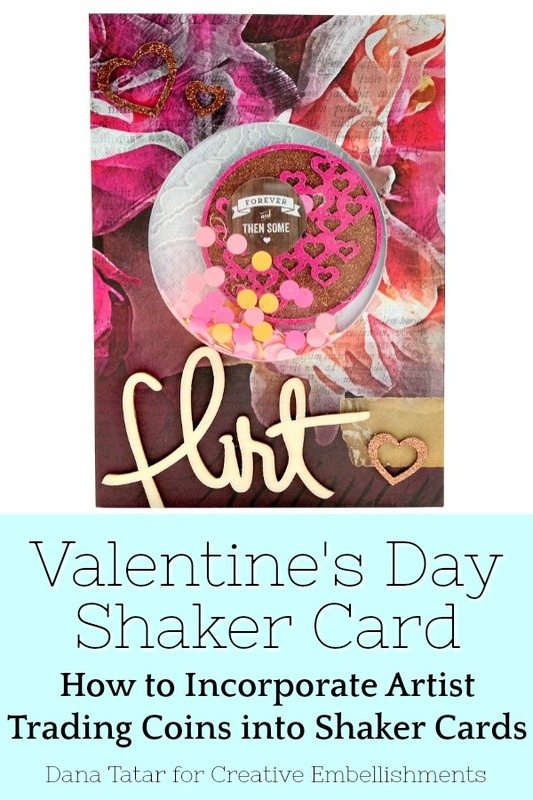 I created a shaker card that I plan to give my husband on Valentine's Day. I started with a card blank from the Heidi Swapp Snow Globe Card Kit and then added patterned paper, stickers, lace, and of course, chipboard, to create this card. 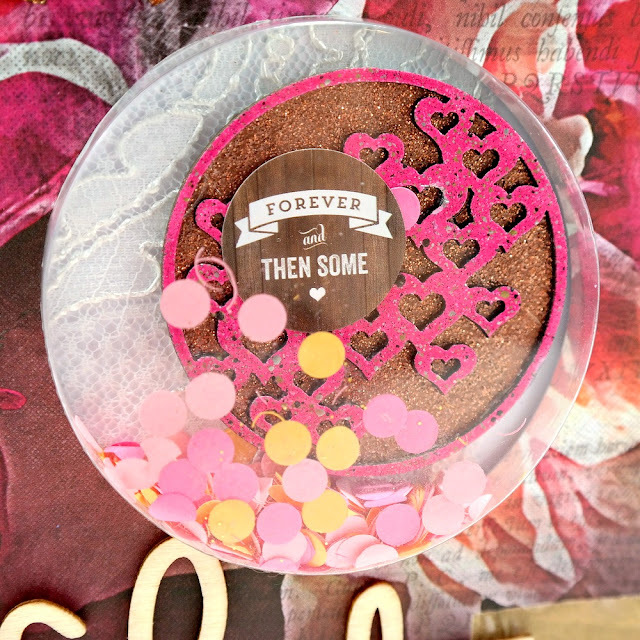 I stacked an Artist Trading Coin and a Heart Shape Artist Trading Coin to create a circular background embellishment for my shaker feature. 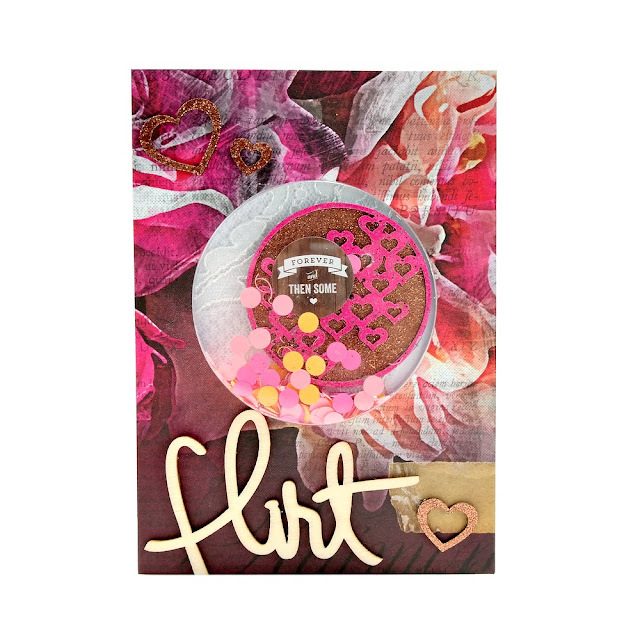 I heat embossed the Artist Trading Coin with Copper Glitz ICE Resin Iced Enamels, and the Heart Shape Artist Trading Coin with Raspberry ICE Resin Iced Enamels. Then I glued the two coins together and secured it in to the shaker element off-center to create more interest. I applied a sticker to the trading coin, and then filled the shaker feature with colorful paper confetti. 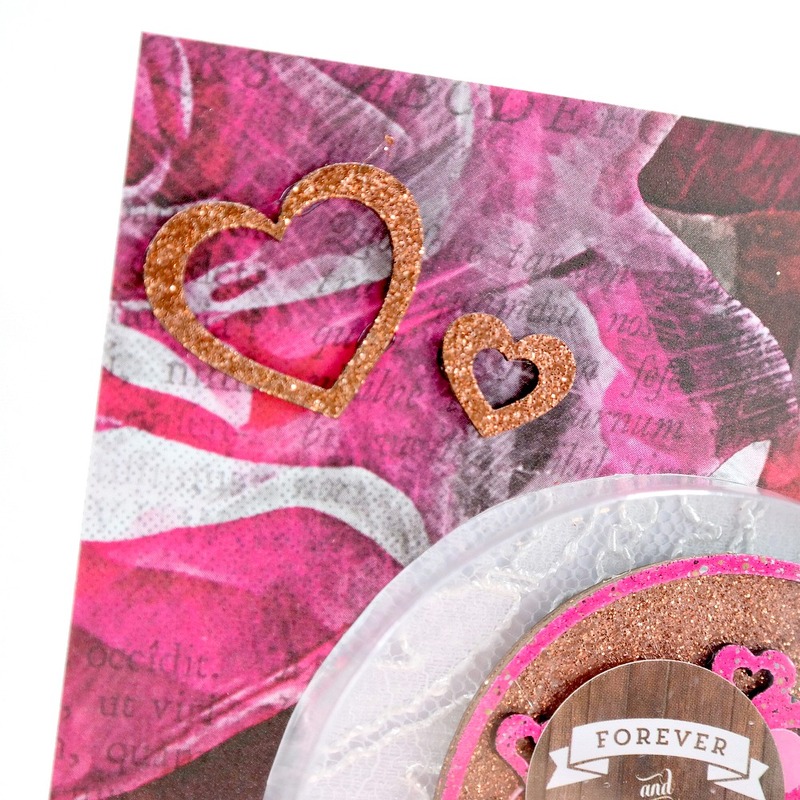 I heat embossed several Nested Hearts with Copper Glitz ICE Resin Iced Enamels and glued them to the front of the card. 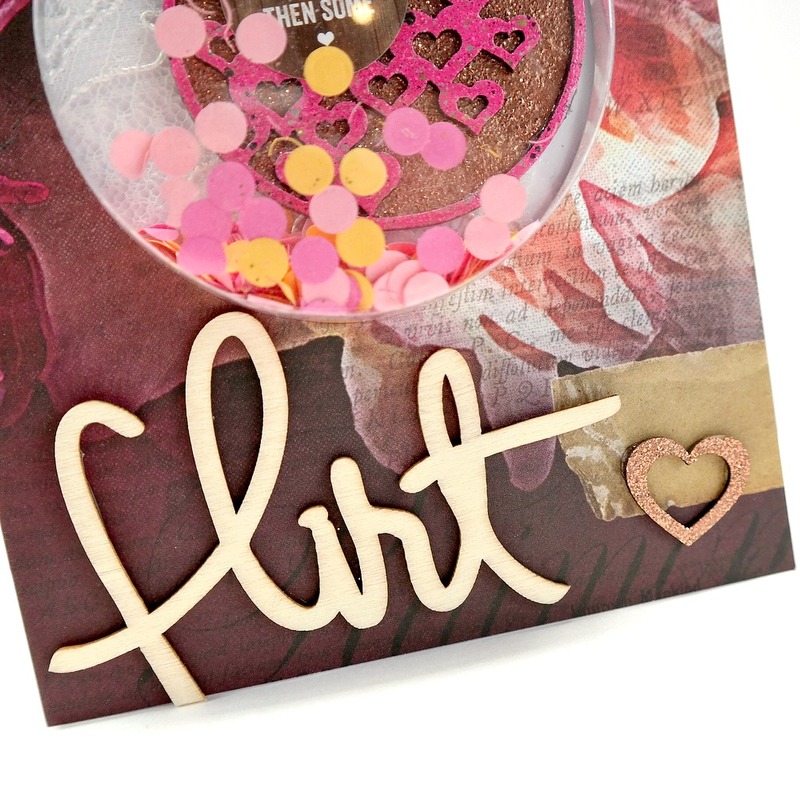 To finish the front of the card, I added a wood veneer word. This is beautiful!! LOVING how you did this!!! !